The wisdom of the ages can still be read in the Crossway Classic Commentaries, which present the very best all-time commentaries on individual books of the Bible. In this newest release, John Calvin explores key passages of Genesis--a book of important beginnings and memorable accounts that lays the foundation of Christianity. 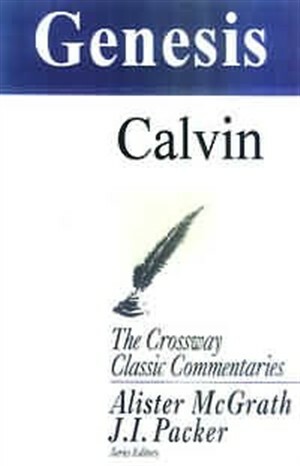 Carefully abridged and stylistically adapted for today's reader, Calvin's insights are an excellent guide for every student interested in fathoming the depths of the Bible's first book. Genesis : Crossway Classic Commentaries by John Calvin was published by Crossway in January 2002 and is our 45343rd best seller. The ISBN for Genesis : Crossway Classic Commentaries is 9781856842099. Be the first to review Genesis : Crossway Classic Commentaries! Got a question? No problem! Just click here to ask us about Genesis : Crossway Classic Commentaries.